Tel Aviv: Steimatzky Press. Good+. 1969. Softcover. Undated, approx. 1969. Internal pages clean & tight other than insription on title page. Jacket has scuffing, fading to spine and light edgewear, one small peeled area on front. The thrilling, shocking, true story of Israel's most daring spy. Elie Cohn was hung from a hook in Martyr's Square, Damascus. The execution was carried live by the Syrian television network, while, in Israel, a pale woman watched every scene - Nadia Cohn, the wife of Israel's greatest spy.....Now the true story of Elie Cohn's amazing feats can be told.." (120-osl) ; 12mo 7" - 7½" tall . Thomas Dunne Books. Fine. 2003. First Edition. Softcover. 031231633X . Excellent condition, clean and unmarked, light corner wear, a little scuffing. ; 8vo 8" - 9" tall; Review: " British journalist Anton La Guardia, diplomatic editor for the Daily Telegraph and for eight years its Middle East correspondent, offers an informed and objective history of the Middle East battles in War Without End: Israelis, Palestinians, and the Struggle for a Promised Land. 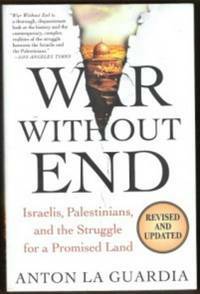 Tracing the Zionist movement back to its 19th-century roots, as well as the birth of national identity of the Palestinians among whom the Zionists settled, La Guardia offers general readers a balanced background to what many fear may well be a war without end. " . VT: Inner Traditions. Very Good. 2001. First Edition; Fifth Printing. Softcover. 089281859X . Light corner wear, a little corner curling. Internal pages are clean & tight, but do have several large earmarks. B/w illus. 318 pages. 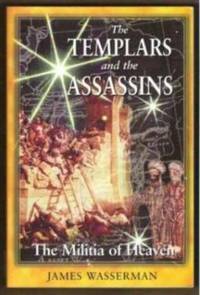 Book Description:  An examination of the interactions of the Christian Knights Templar and their Muslim counterparts, the Assassins, and of the profound changes in Western society that resulted. 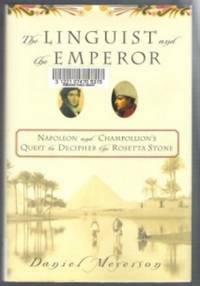  Restores the reputation of the secret Muslim order of the Assassins, disparaged as the world's first terrorist group.  Dispels many myths about the Knights Templar and provides the most incisive portrait of them to date. A thousand years ago Christian battled Muslim for possession of a strip of land upon which both their religions were founded. These Crusades changed the course of Western history, but less known is the fact that they also were the meeting ground for two legendary secret societies: The Knights Templar and their Muslim counterparts, the Assassins. (*Shipping will be reduced to some locations) ; 8vo 8" - 9" tall .